Nicely said Matt. I’d like to point out the “conflicting research” we so often hear about. Let us not forget the food industry’s strategy to dismiss research of scientific community as “junk science” & elevate product defense as “sound science”. It is the same tactic that the tobacco industry used and the food industry (many our corporate sponsors) are VERY good at producing normative science. This is a great summary of how I feel as an “idealistic” vegan dietetics student. I know I’ll really appreciate having a strong science foundation to my nutrition practice but I can do without all the industry propaganda. The first email I received after becoming a student member of AND was from the National Dairy Council recruiting dietitians to promote their products, which is a perfect example of industry buying health care professionals. Thank goodness for like-minded RDs and the Vegetarian Nutrition DPG! Thanks Matt. This is a long overdue conversation in the nutrition world. I maintain my Academy membership to keep my job with our city government. I do love and value being part of the Vegetarian Nutrition DPG. Matt,while you have some good points ..the Mushroom Council DID have a booth and sponsored an excursion – I know because I was the speaker. 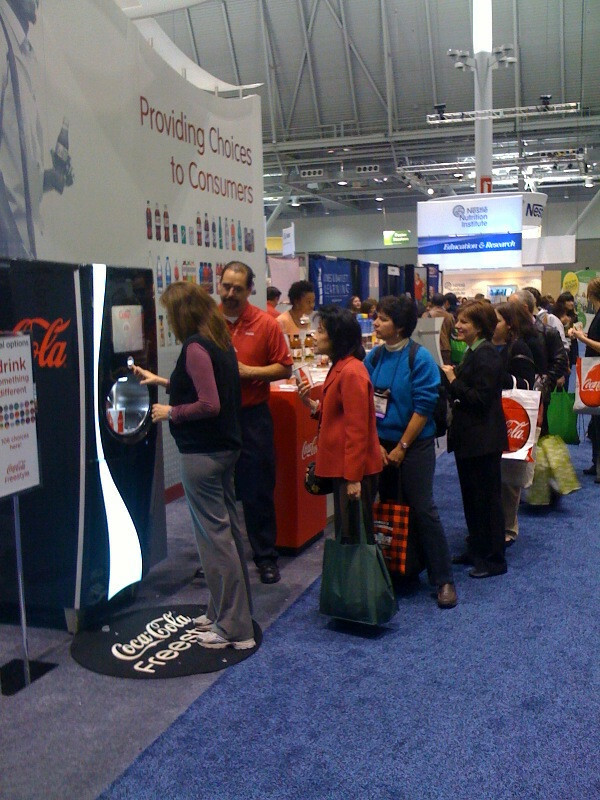 Also there were a number of produce products featured at the FNCE expo hall. Sure, there are some smaller sponsors too. I didn’t say otherwise. And I think their existence shows that we could have enough sponsorships of smaller companies that sell whole foods to make up the difference after no longer working with the giant ones who sell mostly unhealthy food. It’s possible to criticize the worst parts of something while acknowledging the good parts. And the existence of the good parts doesn’t mean that we can’t criticize the bad stuff. Thanks for reading and leaving a comment! Hi Matt, I am a vegan R.D. with a private practice and over 25 years in the business. I have not joined the Academy because of the sponsorship by agribusiness, meat and dairy industry, and many other processed food companies. I have been told by other R.D.s that I should join but it would feel like I supported these choices, and I do not. There are many companies out there that are doing the right thing for consumers and our health, even companies that are not food-related, that we can have as sponsors. Until then, I guess I’m out. Melissa, I feel you! And I thinking other RD’s are in a similar situation. Thanks for your comment and perspective.